The buy-to-let boom of recent years has fed the stereotype that Brits are obsessed with property. Ever since Margaret Thatcher declared her belief in a ‘property-owning democracy’ and introduced Right to Buy in 1980, the UK was converted into a country that saw houses as something to make money from, not just to live in. Having long provided mega double-digit returns for investors, investment in buy-to-let has outperformed all major asset classes in recent years, with total annual returns from buy-to-let property hitting 12% in 2015 or £21,988 in absolute terms. But the government’s decision to introduce a number of measures to curb the growth of buy-to-let landlords has prompted concern that the buy-to-let windfall may be coming to an end. From a landlord’s perspective, it has been a tough year, with a raft of changes designed to bring the booming housing market under control and create what the former chancellor George Osborne described as a “level playing field” between homeowners and investors. Aside from the introduction of the stamp duty surcharge in April, the 10% Wear and Tear tax relief for landlords who rent out furnished homes has been abolished, leaving them free to only claim for the amount that they have spent, while mortgage tax relief is set to be phased out from next year. In addition, the Bank of England’s Financial Policy Committee is expected to be granted greater powers over the buy-to-let market in the coming months, which could make it even harder to get a mortgage, while landlords have also been hit with new rules, which include having to check the residency of their tenants along with various health and safety regulations. So whilst investing in property has long been perceived to be a safe alternative to the failing of the pensions industry, the reality is that for many people buy-to-let suddenly looks like an unattractive proposition. While some landlords will undoubtedly pass extra costs onto tenants by increasing rents, various experts believe that others will simply consider exiting the market due to the government’s new rules as renting becomes financially unsustainable for them. Earlier this year, landlord trade body the National Landlords Association predicted that as many as 500,000 properties could be offloaded by buy-to-let landlords by early to mid-2017, as they seek to avoid the government’s attack on the private rented sector (PRS). “We have to factor in that landlords in the private rented sector are not making huge returns on investment. Gross yields across the country are less than 5% on average, while net yields are around 2%,” said David Cox (left), managing director of the Association of Residential Lettings Agents (ARLA). “Landlords with low profit margins could end up making a loss as a result of tax change, which will push some out of the market. It will particularly hit highly leveraged landlords who purchased during the economic downtown when buy-to-let interest rates were at very low levels,” he added. But although we will undoubtedly see a number of landlords enquire about the possibility of selling up, with some going as far as testing the sales market by listing their properties for sale, early signs are that the numbers forecast to exit the PRS may have been significantly over estimated. The latest figures from ARLA show that 61% of letting agents saw no real movement in the level of housing supply coming on to the PRS in July, which means no mass exodus yet, and this is mainly because the fundamentals that ultimately attracted so many people to buy-to-let in the first place still exist. Would you switch a property producing say at least a 4% gross rental yield and offering good prospects for future capital growth for a savings account generating less than 0.5% gross a year? No, is almost certainly your answer, and that should also be the response from many buy-to-let landlords contemplating the idea of selling up. Given that the average easy access account now on offer pays less than 0.5% in interest, the savings market is looking highly unattractive, and yet with economists predicting that the Bank of England is likely to announce a further cut to the base rate in November, bringing it down from 0.25% to just 0.1%, savers need to brace themselves for even tougher times ahead. While saving rates keep falling, many property investors are benefitting from the continuing reductions of mortgage costs, with lenders across the board shaving percentage points off their best deals in an effort to attract greater business from those buying or remortgaging property, including buy-to-let landlords. In fact, new figures from Mortgage Brain show that the costs of buy-to-let mortgages have actually fallen by as much as 8% over the past six months. 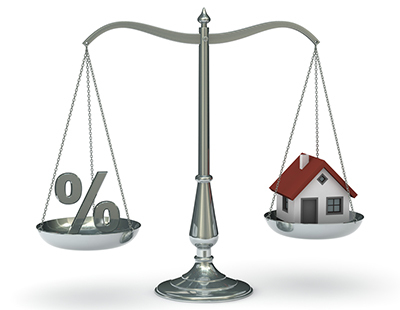 Mark Lofthouse, CEO of Mortgage Brain, said: “With further interest rate cuts predicted by the Bank of England it will be interesting to see what happens to mortgage rates and costs over the next few months. 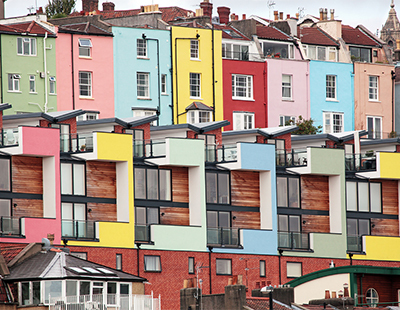 Aside from cheaper borrowing rates, rents in the PRS continue to rise across the UK. The rental market remains steady in the face of the various economic and political headwinds the sector has faced recently, according to new figures from the HomeLet Rental Index. According to the latest figures, the average cost of a new tenancy in the private rental market in the UK rose by 3.1% to £913pcm in the three months to August 2016, up from £885pcm in August 2015, with rents in 11 out of the 12 regions surveyed recording an increase over the year. The average return on the deposit for a 75% leveraged buy-to-let property in the UK over the past 20 years has been more than 16% a year, and this is in addition to capital growth, which compares favourably with an average annual return of 6% from the FTSE All Shares during the same period, according to Paul Mahoney (below), managing director at Nova Financial. The supply-demand imbalance in the PRS, along with the wider housing market, suggest that prospects for higher rents and house price growth in the medium to long-term will continue to look promising, which should ensure that returns remain strong, despite a number of less favourable tax changes, and that is something that you should be pointing out to landlords, although many property investors have already started to wise up. “For landlords, market sentiment remains positive with the vast majority still looking to add to their portfolio of properties,” said Adrian Gill, Director of Your Move. While accepting that loss of higher rate tax relief and the increase in stamp duty on the market is a “body blow for investors”, Trevor Abrahmsohn (below), director at Glentree Estates, is another expert that still believes that investment in buy-to-let property “is still worth pursuing”. “With the stock market being a little risky, bonds yielding little, there are very few asset classes as safe, over time, as property,” he added. 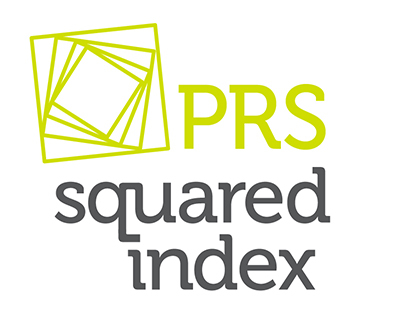 Although underlying PRS returns look set to stay strong, certainly when compared with other investments, there is no escaping the fact that individuals who currently pay tax at 40-45% on letting profits will pay significantly more when the tax changes come into play, leaving some investors will little alternative but to alter how they conduct their commercial and business affairs. To help avoid the hit, many investors are now looking to treat their mortgage interest as a business expense by setting up company structures to manage their rental properties, as reflected by a sharp increase in mortgage lending to buy-to-let landlords borrowing via limited companies. 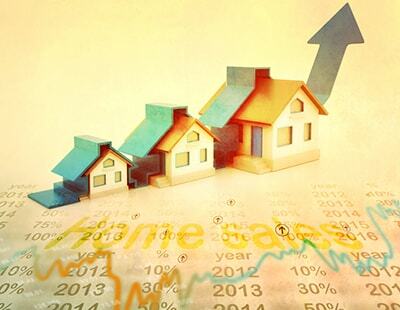 According to Mortgages for Business, the number of buy-to-let mortgage applications completed by limited companies in the first half of the year rose to 30% of all buy-to-let completions, up from 21% in H2 2015 and 18% in the same period last year. Almost a third – 30% - of all buy-to-let loans were handed to those acquiring property through a limited company, up from a quarter (25%) in H2 2015 and 20% in the first half of 2015. David Whittaker (right), managing director of Mortgages for Business, said: “Both applications and completions for limited company borrowers appear to have stabilized at around one third of all buy-to-let business. Although a limited company may not suit every buy-to-let landlord’s investment strategy, there is no denying the fact that for as long as there is a chronic housing shortage, we will continue to see what we have seen for the better part of a generation, and that is relentless upward pressure on house prices and rents, albeit with a few price dips along the way. Research by the Centre for Economics and Business Research found that rents are set to rise by 28% over the next 10 years on the back of high tenant demand. By 2026 some 7.2million households in England and Wales are estimated to be privately rented; this is around two thirds more than now. With enticing rental yields achievable and low-cost interest-only mortgages, otherwise deemed too risky for regular homebuyers, still available to landlords, buy-to-let will remain popular. So despite the punitive tax rises being imposed on the PRS, the indications are that bricks and mortar will remain a safe long-term investment for the 2 million or so private landlords in Britain, and in the end, the losers will be the tenants who have to cover their landlord’s increased tax costs through their rent. Its all a bit late now ''the industry'' talking about the negative effect of mortgage relief not being off-set any more. Useless these people where when this legislation was in the pipeline. Its here, and its fine to say 'not yet' for landlords selling up - but once these massive tax rises kick in - ''you watch''. Level Playing field Mr Osborne said - well let me tell you these massive tax changes (Mortgage interest) dont apply to most overseas investors!! we have around 100 overseas landlords, they get us the HMRC exemption and Bang, we pay them gross - end of story! Its blown up in your face Mr Former Chancellor, your ill-thought out changes have tipped the field in favour of overseas investors and AGAINST UK Landlords. I doubt Osborne really gives much of a damn. He doesn't strike me as a caring, compassionate type. He doesn't strike me as someone with much of a conscience or an idea about anything, really. Is he back on the backbenches or has he already sloped off to some cushy job in the city? Maybe he's too busy licking his wounds over his political career tumbling into oblivion quicker than an F1 car hurtling around the track!